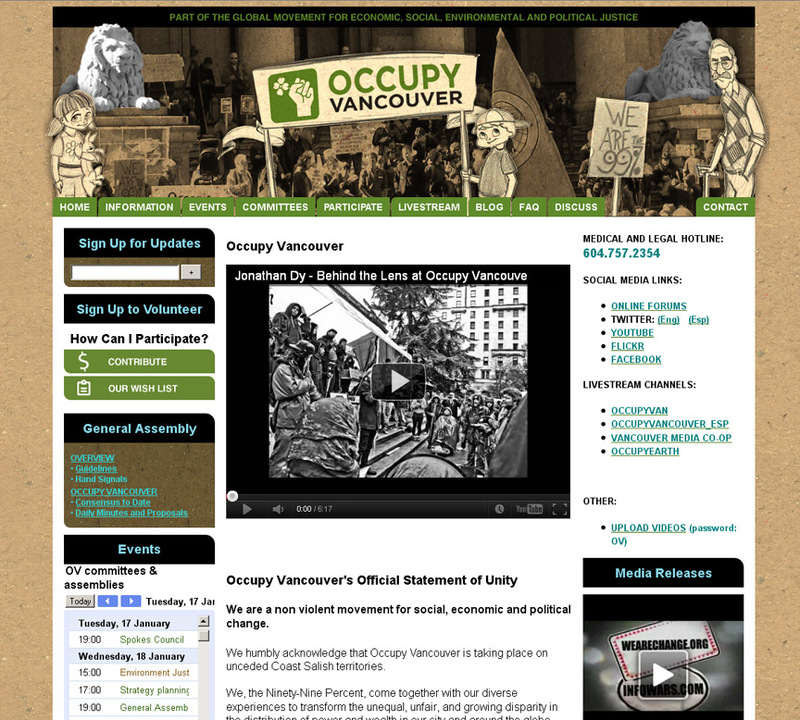 Terminal fistitis and the garish red & black disappeared a while ago from the Occupy Vancouver website. I don’t know why they chose a Kraft paper texture for the background, or why the stone lions are black & white instead of tinted, but at least the banner graphic is more light hearted. Whew!